The fact that a criminal charge has been filed against the defendant is not evidence that the charge is true. You must not be biased against the defendant just because he has been arrested, charged with a crime, or brought to trial. A defendant in a criminal case is presumed to be innocent. 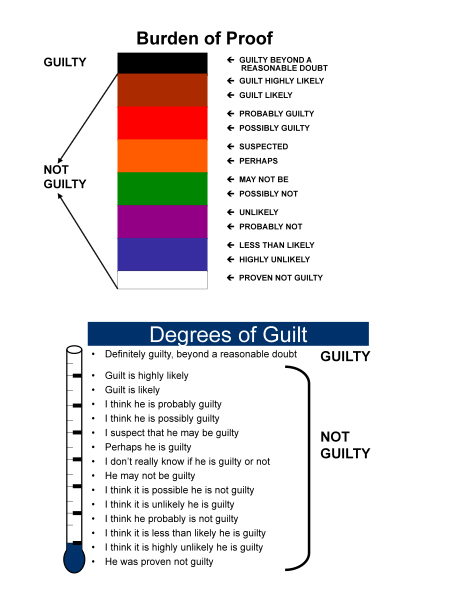 This presumption requires that the People prove a defendant guilty beyond a reasonable doubt. Whenever I tell you the People must prove something, I mean they must prove it beyond a reasonable doubt unless I specifically tell you otherwise. Proof beyond a reasonable doubt is proof that leaves you with an abiding conviction that the charge is true. The evidence need not eliminate all possible doubt because everything in life is open to some possible or imaginary doubt. In deciding whether the People have proved their case beyond a reasonable doubt, you must impartially compare and consider all the evidence that was received throughout the entire trial. Unless the evidence proves the defendant guilty beyond a reasonable doubt, he is entitled to an acquittal and you must find him not guilty. Please contact my firm and talk with a knowledgeable criminal defense attorney who is committed to excellence in aggressively protecting your interests and constitutional rights and can explain how the reasonable doubt burden of proof can help your case.